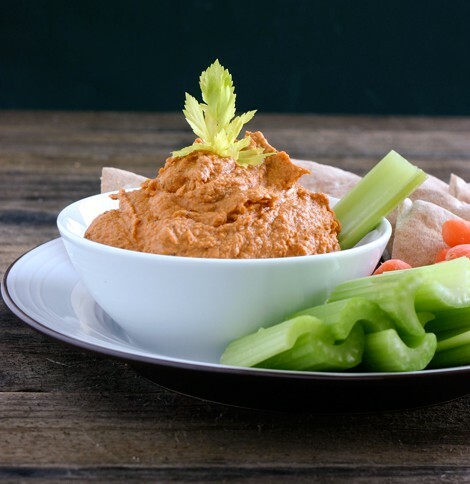 I love to make hummus, just as a snack, and even as a quick and easy vegetarian snack-able dinner. We enjoyed this hummus with lots of fresh cut vegetables while watching the Oscars. 1. Combine garbanzo beans, tahini paste, lemon juice, roasted red peppers, cumin, paprika and sumac in a food processor. Turn processor on and stream or drizzle in olive oil until hummus has a smooth consistency. 2. Garnish with a a little more spice if desired. Serve with pita bread and vegetables.